Working out. Have a workout schedule and stick to it. The most important thing about working out is consistency. I understand life happens, and we fall off sometimes, however you must be able to bring yourself back. Even if you’re not a gym person, compete in your favorite sport by joining an intramural league. Personally, I try to work out 3 - 4 times a week. Set your own goals and try your best to beat them. Take the long way. On top of working out, I also try to take the long way wherever I go. I park the car a little further from the store to get in a few extra steps. I seek alternate routes when running outside. It’s a simple way to get in some extra exercise. Mental health. Aside from physical wellbeing, making sure you’re in a proper mental space is key. As I’ve gotten older, I realize I need more down time, “me time” if you will. I read more and focus on things that matter to me most, things that bring me joy. Taking care of your mind is equally as important as taking care of your body. Sleep. Pretty simple, get enough of it. Gone are the days of staying up to 3 a.m. for no reason. I make sure I get at least 8 hours of sleep, and frequently take naps. I'm much more aware of when my body is tired now. Eating. This is a big one. I’m not on a fancy diet, but I do monitor what I consume and when I consume it, more closely. I make a more concentrated to eat fruits and vegetables, and drink plenty of water. Nevertheless, I still have my guilty pleasures, just in moderation. Alcohol. As I’ve gotten older my relationship with alcohol has changed, too. I’m mindful of how much I drink at happy hour and I make sure to never drive impaired. 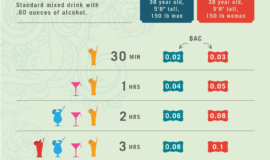 I know my limits and monitor what drink to make sure I never exceed them. 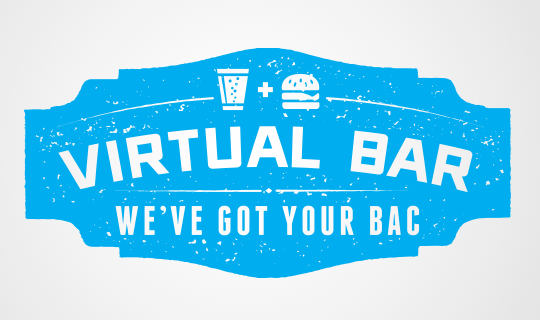 The Virtual Bar is a great tool for this because it shows how what you’re eating, and time affects BAC. Now I know how that slice of pizza affects my BAC levels. Now I understand the term “listen to your body” much more. I’m taking the time to take care of my body now, so it’ll take care of me later.